Say what you want about the ubiquity of pixel art, side-scrolling indie games, but the truth is that when done well, they're brilliant. There are a handful of good examples, like Shovel Knight, Celeste, and Freedom Planet, but The Messenger might be the easiest to recommend. This Ninja Gaiden inspired action platformer is the full package -- an engaging story, fantastic presentation, and ultra tight, highly compelling gameplay. Let's break all that down. 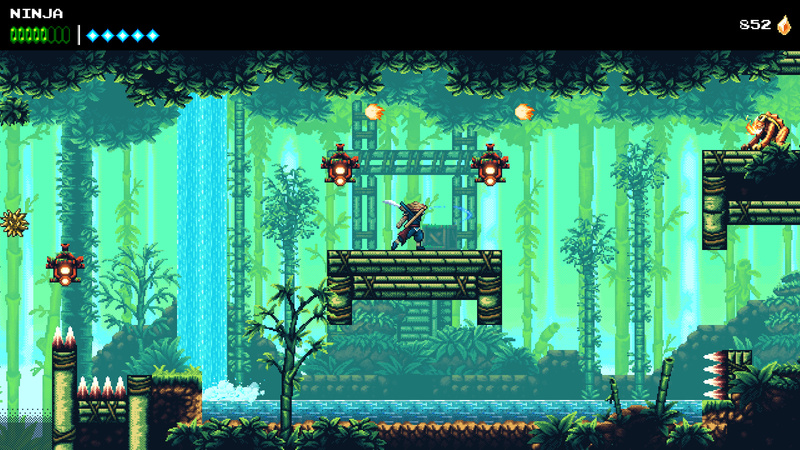 You play as a young ninja living in a settlement on the westernmost edge of an island devastated by demons. When the threat comes knocking, a great hero comes to save the day, but he also tasks you with carrying a scroll to the peak of the mountain far to the east. With that goal in mind, you set off, but the story goes way deeper than you expect, with some surprising twists and turns delivered with style and humour. The game has real personality from the very start, and that's down to a combination of things. As mentioned, the writing is great; your journey is peppered with big moments and they're treated as such, but the self-aware jibes and fourth wall breaking jokes bring levity when things quieten down. 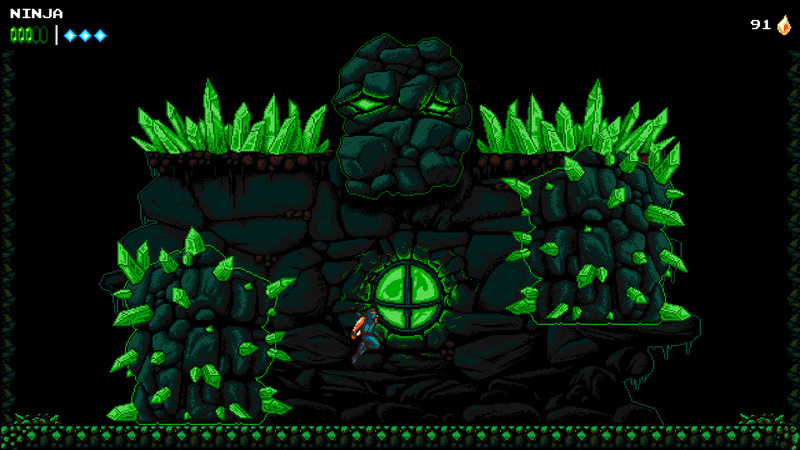 But adding to the atmosphere is some wonderful pixel art. For reasons we won't disclose here, you'll see 8-bit and 16-bit styles, often in quick succession, and both have been very well realised. That's also the case for the music, with two versions of every catchy track swapping in depending on which bitrate you currently reside. But the real draw here is the gameplay. 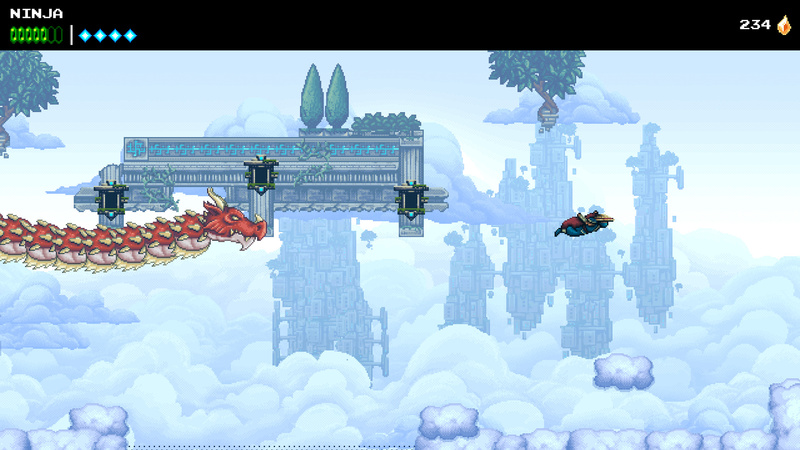 Your one ability at the start of the game is the cloud step, essentially a second jump earned by hitting an enemy or lantern in mid-air. It's a neat idea that presents some tricky platforming challenges on its own, but it's not long before your moveset is expanded. You'll quickly be able to perform wall jumps, use enemy projectiles to earn a cloud step, throw shuriken, and much more. You'll gather Time Shards as you explore and defeat demons, and you can spend them in the shop to unlock various upgrades. It's all very cohesive, and the shopkeeper always has some fun dialogue to read, too. What's impressive is how the game gradually opens up as you continue. Again, we won't spoil anything, but when you think you're reaching the conclusion, everything gets turned up a notch -- the story, the skill tree, and even the world map open up. The Messenger is a surprisingly big title that revels in subverting expectations. One aspect some players may not enjoy is the amount of back tracking employed later in the game. At first, it's refreshing to see areas you passed through hours ago reimagined in 16-bit, especially as the two styles also open and close certain paths, giving you more to explore. However, there does come a point where it begins to get a little tired. Elements of the game's design make it relatively easy to travel around, but there's certainly an argument that it's a little too long. However, the action is so responsive and satisfying that you may happily jump and slash your way across the island for hours. The controls are tight as a drum, and when you consider how the game builds so much from where it starts, it's hard not to be impressed by its ambition. It also runs like an absolute dream; there's no danger of bugs or dropped frames from our experience. Absolutely amazing game on Switch, but I had no idea it was coming to PS4. It's interesting that this review only showed 16-bit screenshots and no 8-bit screenshots. @NintendoFan4Lyf There are 20 screenshots on the site, and they're chosen for the review at random. Refresh the page and they'll change! @Quintumply Huh, I did not know that - thanks for the behind the scenes commentary! I will jump on this like a madman if they release a physical version. @Useyourname I think it is getting a physical release at some point. @Quintumply Yeah, just saw it. Jumping commenced immediately. Something I might get later down the road. @Quintumply every review work like that? Random screenshots, because that pretty cool and ive never realized it before. Any idea on price? @ellsworth004 Haha, yes, that's how we do it. As for price, The Messenger is $19.99. It's on my list, I have a hell of a backlog at the moment so I will hold on in the hope of a physical release, maybe Limited Run games or something. Limited Run just posted it too, I have used them a few times now with no problems receiving the games into the UK. 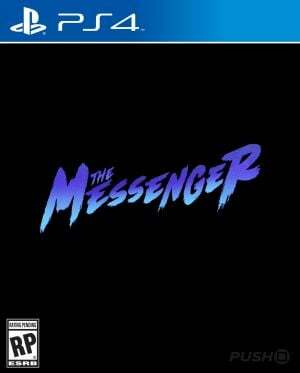 I have my preorder in, chuffed to bits to have the likes of The Messenger and Celeste on physical media. Did someone say.... Ninja gaiden!!!? @Quintumply "There are 20 screenshots on the site, and they're chosen for the review at random. Refresh the page and they'll change!" Thanks for the review ST, another corker in your review cellar. This is one of those, “I already own a perfectly fine copy on another system but I’ll buy it again” kind of games. I didn’t like the first half of the open world - there’s tons of long backtracking if you don’t do things in the exact right order. However eventually you start finding completely new areas to explore and then it gets to be 10/10 again. Right up there with Shovel Knight and Celeste.